Donald U. Wise has had an abiding interest in the structure of the earth since his days as a Pennsylvania Dutch kid, wearing out pants by sliding down rock outcrops he did not understand. He increased this "seat-of-the-pants" geologic contact with the earth by degrees at Franklin and Marshall College (1953), California Institute of Technology (1955), and Princeton University (1957). His Ph.D. thesis on tectonic heredity between Precambrian and Laramide structures in the Beartooth Mountains of Montana and Wyoming started him on types of research problems that continue to the present day. He taught at Franklin and Marshall College in Lancaster, PA, from 1957 to 1968, publishing papers on many aspects of Appalachian and Laramide structures, an "outrageous" hypothesis of western tectonics involving arguments for what was then “continental drift,” and even proposed a theory for the origin of the moon from the earth. As a result of this last paper, he served on many committees working on the lunar program during the 1960s, finally taking leave of absence from teaching to serve in Washington before and during the first lunar landing as Chief Scientist and Deputy Director of NASA's Apollo Lunar Exploration Office. He returned to academia at the University of Massachusetts to write about tectonic controls of sea level over geologic time, map the geology of a USGS quadrangle on Mars, establish some techniques for crater dating of the Martian surface, and propose a model for the tectonic evolution of Mars. 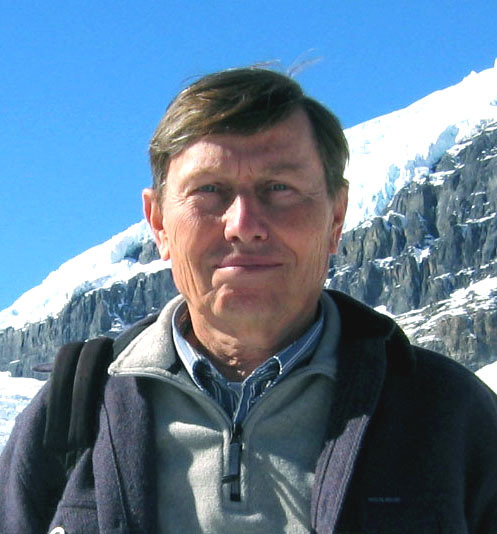 Much of his work has focused on the fracture behavior of planetary crusts, both on earth and beyond, on all scales from microscopic to global. This work included a "tongue-in-cheek" critique of "linesmanship" and lineament analysis; field work and on rift structures of New England and the Red Sea coast of Egypt; field work on fracturing, seismic activity, and gravity tectonics in Italy; field work and theses on Laramide structures of Wyoming and Montana; characteristics and classification of mylonitic and fault-related rocks; application of remote sensing techniques to lineament detection and statistics; regional seismic risk analysis; field work and supervised theses on fracture and rift structures of New England , and structural analyses of parts of coastal New Zealand . After his “retirement” in 1992 he returned to Franklin and Marshall College for some teaching, student supervision and research before returning to Umass in 2000. “Retirement” work included additional studies in Italy , the Rockies , New Zealand , as well as the Pennsylvania and New England Appalachians. He also began to battle creationism with papers debunking their geologic time scale and suggesting strategies to counteract their claims. More recently he has begun a campaign against anti-evolutionists to get the letters “ID” to stand for Incompetent Design in the public mind. He is the holder of a valid birth certificate, the proud husband of Nancy Barton Wise and their two sons, Bart and Kurt, and continues enthusiastic field work with suitably dirty boots. He served a sentence as head of the Geoscience Department of the University of Massachusetts, was founding chair of the Geological Society of America’s Structure and Tectonics Division, and served as chair of their Planetary Geology Division. He continues to believe that his model for formation of the moon by rotational fission driven by the earth’s core formation will ultimately become the accepted theory.